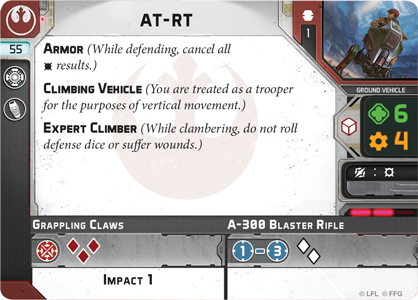 Although they’re commonly salvaged from abandoned Republic bases or bought on the black markets of the Outer Rim, the AT-RTs used by the Rebel Alliance have been fully repaired and newly customized. Though these walkers lack the awe-inspiring durability and firepower of the Galactic Empire’s AT-ST, they’re still dangerous—and at only fifty-five points, an AT-RT is a fraction of the cost of a massive AT-ST. What’s more, the AT-RT’s lighter build actually makes it significantly more mobile. An AT-RT is no faster than an AT-ST: both have speed-two movement. When its path is blocked by walls or low buildings, however, the AT-RT has a distinct advantage. It bears both the Climbing Vehicle and Expert Climber keywords—which allow it to move vertically as easily as a trooper and easily clamber over obstacles in its path. 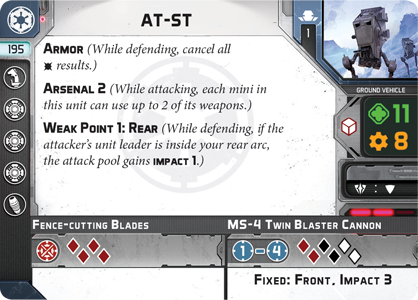 An AT-RT also has the same heavy Armor as the AT-ST. Standard infantry weapons will have difficulty piercing this armor plating without the help of the Impact keyword. For its own weapons, the AT-RT offers you a significant degree of choice. In melee, an AT-RT can stomp back and forth with deadly grappling claws, which can shred infantry troopers with ease. Alternatively, the Rebel piloting the AT-RT can take potshots with his A-300 Blaster Rifle, firing in any direction, no matter which way your AT-RT is facing. Still, the deadliest weapons for the AT-RT are equipped using its hardpoint upgrade slot. 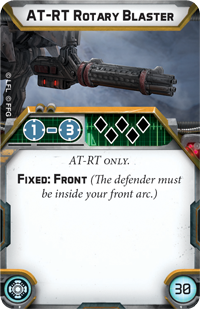 Your AT-RT has a single slot for a hardpoint upgrade, but there are three different upgrade cards that you may choose to equip. (Each of these upgrade cards is matched by a different sculpted weapon that you can add onto your AT-RT miniature.) 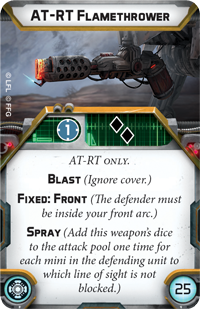 If you’re looking for a standard, generally useful weapon, you may look no further than the AT-RT Rotary Blaster. This weapon fires a devastating five black attack dice, capable of slicing through enemy troops at range. Alternatively, if you expect to face more armored vehicles, the AT-RT Laser Cannon may be more suitable. This laser cannon has longer range than the rotary blaster, and the Impact 3 keyword lets it smash through even heavy armor plating. Finally, if you’re planning to use your AT-RT to mop up enemy infantry, you can’t do better than the AT-RT Flamethrower. This weapon ignores cover, and the Spray keyword lets you add the weapon’s dice to your attack pool once for each mini in the defending unit. 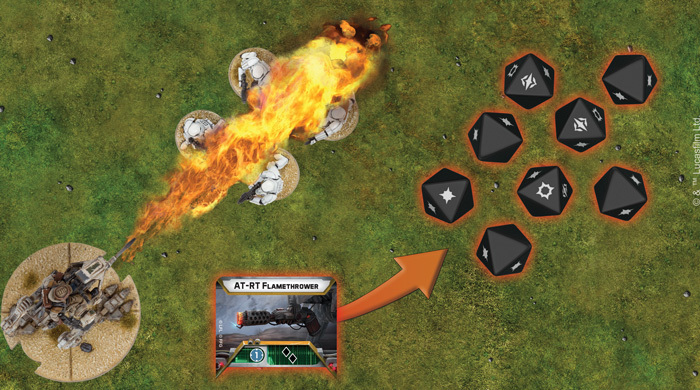 In other words, when attacking an enemy unit with four Stormtroopers, you’ll roll eight black attack dice, giving you the firepower to wipe out entire units in a single attack! The AT-RT uses its Flamethrower, rolling eight black dice to attack the Stormtroopers. The AT-RT may have only one hardpoint upgrade, but it also has a comms upgrade to help you take advantage of Star Wars: Legion’s innovative command system. 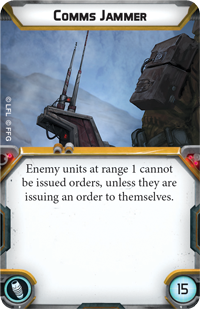 If your AT-RT is going to be ranging far from your commander, the Long-Range Comlink will let you issue orders to it from anywhere on the battlefield. 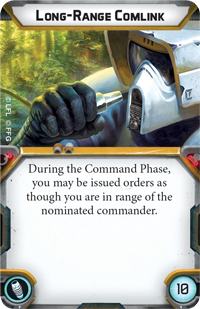 Alternatively, you could choose to sabotage your opponent’s communications with the Comms Jammer. 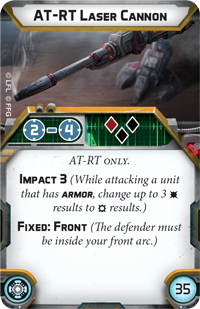 By equipping your AT-RT with a Comms Jammer and running it close to enemy units, you can prevent them from receiving orders, potentially leaving your rival’s plans in disarray! 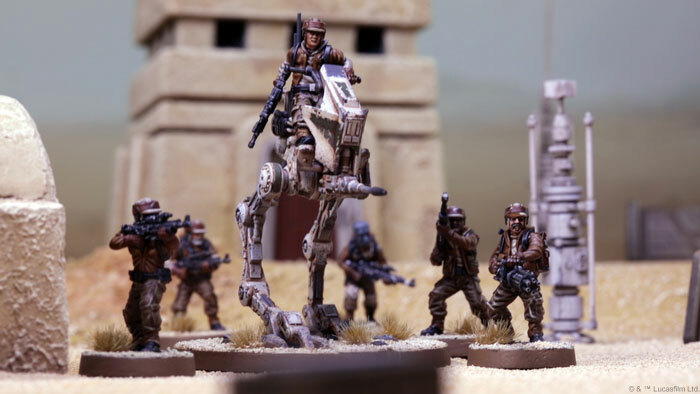 With the chance to include up the three AT-RT units in your army, it’s plain to see that this fast, agile walker will be making an impact in many Rebel armies. 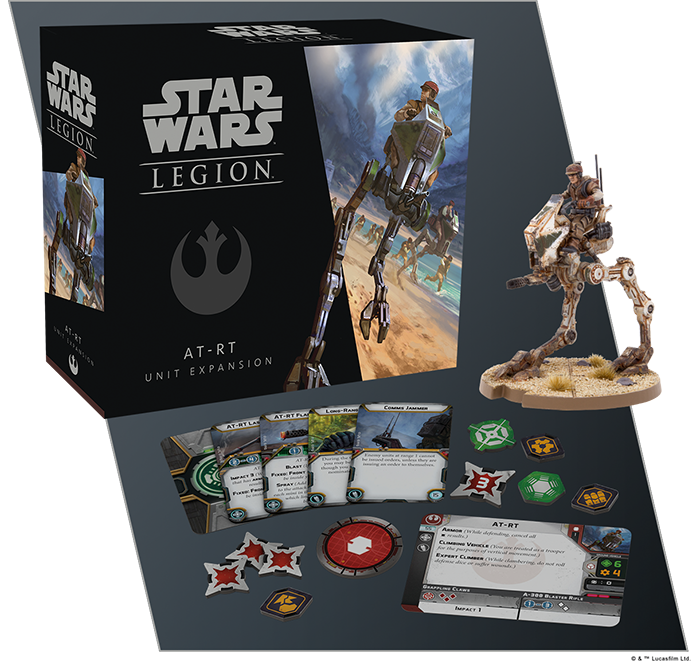 The breathtaking infantry battles of Star Wars: Legion will soon be arriving at your tabletop. Whether you’re fighting for the Galactic Empire or the Rebel Alliance, you’ll have access to powerful walkers. All you need to decide is how you’ll use these mechanized vehicles in your own army. 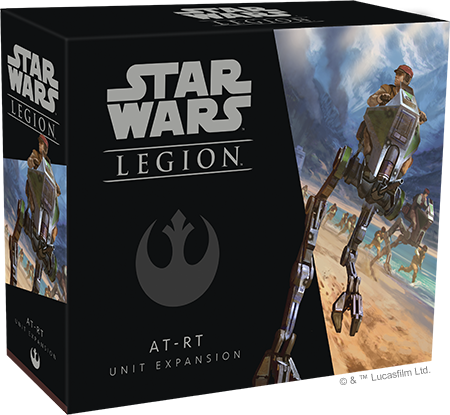 Pre-order your copies of the AT-RT Unit Expansion (SWL04) at your local retailer or online through our webstore today, and look for Star Wars: Legion to release on March 22nd!